Jackie Biskupski was born today, January 11, in 1966. She is the Democratic Mayor of Salt Lake City, Utah. 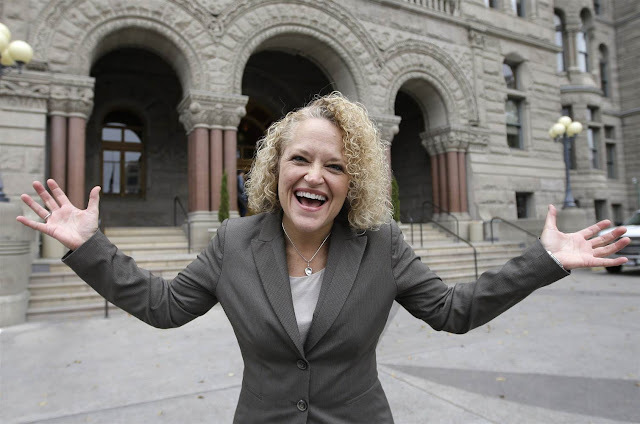 Upon taking office, Biskupski became Salt Lake City's 35th mayor, and the city's first out gay mayor. She is a former member of the Utah House of Representatives, representing the 30th District in Salt Lake County from 1999 to 2011. One of four siblings raised in Hastings, Minnesota, Biskupski, of Polish-American descent, says that her Catholic parents, Marvin and Arlene Biskupski, named her after former First Lady Jacqueline "Jackie" Kennedy Onassis. While learning about the civil rights movement in history class at St. Boniface School, she says she was immediately attracted to the idea of working one day to champion the rights of women and minorities. Later in life, her collegiate activities would earn her a B.Sc. in criminal justice from Arizona State University. Biskupski decided to stay in Utah shortly after visiting for a ski trip. Jackie Biskupski, her son, Archie Biskupski, Biskupski's wife Betty Iverson, and Iverson's son, Jack Iverson. 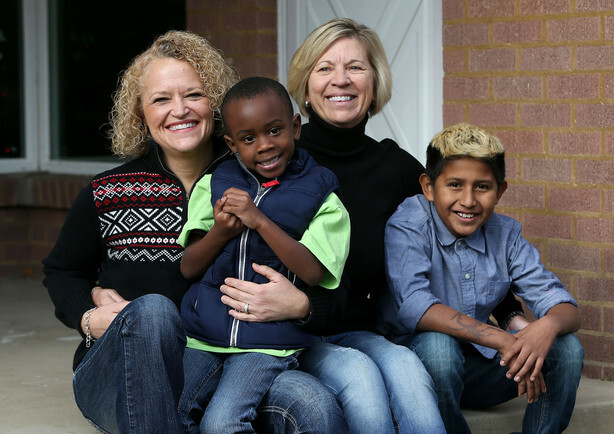 In 2010, Biskupski adopted a son named Archie. On August 14, 2016, she married longtime partner Betty Iverson, who also has a son (named Jack). She currently lives in the Sugar House neighborhood of Salt Lake City. After graduating from college, Biskupski opened her own private-investigation firm, and later went to work for the auto-insurance industry. Biskupski decided to get involved in politics after a 1995 controversy erupted at East High School (Salt Lake City), when the Board of the Salt Lake City School District and the Utah State Legislature tried to eliminate a gay/straight student alliance club. When elected in 1998 to the Utah House of Representatives she became Utah’s first out gay person elected to a state office. She was re-elected 6 times after that, serving in the legislature for 13 years, before retiring in 2011. She then went to work as an administrator for the Salt Lake County Sheriff's Office on January 31, 2015. Biskupski was elected to the office of Salt Lake City Mayor on November 17, 2015, defeating two-term incumbent Ralph Becker with 51.55 percent of the vote. During her first year in office as mayor, Biskupski made local air quality and climate change issues central to her platform. Biskupski also focused on finding long-term treatment solutions to Salt Lake City's growing homeless population. In December 2016, the Mayor announced the locations of four new homeless shelters in the capital city, generating substantial controversy concerning the decision on where to put the shelters and the cost of land acquisition. In its final meetings of 2017, the City Council approved, with some tweaks, her administration’s proposals for creating a faster, cleaner transit system, as well as plans to subsidize and support affordable housing development in a city confronting a huge shortage of it. Add to that, she mentions, a utility agreement that puts the city on course to meet her goals for reducing greenhouse gas emissions and achieving 100 percent clean energy use by 2032.